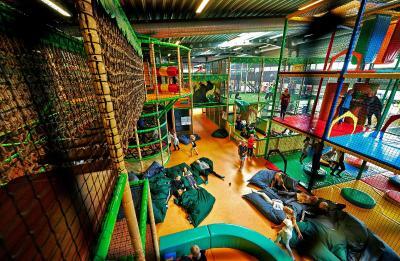 Lock in a great price for Lalandia Billund – rated 8.6 by recent guests! Lalandia is a great family visit, the cabins are great for those that drive in. Remember to check in during open hours or it could take a little longer to get linen and the welcome packet. While we booked at Lalandia for our Legoland experience, we wished we booked an extra day to just spend at Lalandia. The aquadome was so fun! There was tons of other things to do at Lalandia and we wish we could return. Very good place for Kids for 2 to 3 days, very peaceful place, I recommend to take your car, as long walk between Amusement park, reception and rooms. They have shuttle rides but just 3 to 4 times a day. But overall very good ! We really enjoyed the number of play areas/playgrounds, trampolines, etc around the resort to keep the children (and adults) happy and busy no matter where we were on the property. 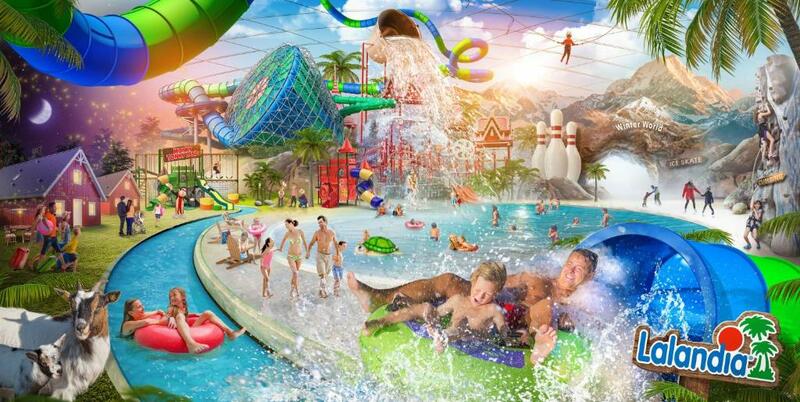 Excellent water park included in price of accommodation. The location was perfect for walking to Legoland, the supermarket on site was well stocked, the pool provided endless hours of fun for everyone, and the accommodations were spacious & were furnished with all of the amenities necessary to enjoy our time there as a family. 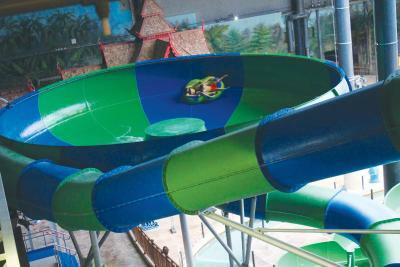 The Aquadome- it was the most amazing indoor water park I have ever seen and our boys ages 4 and 7 had a blast! Our cottage was also very pleasant. Jacuzzi was nice. I enjoyed the scenery and the singing of the birds in the Morning. In general the property was luminous and modern, with a touch of luxury. WiFi worked perfectly and the level was a positive surprise (5G). Good location for visiting Legoland. Nice modern apartment / holiday home. 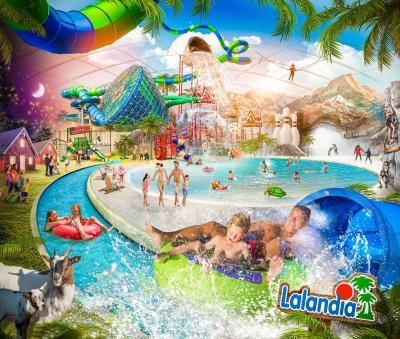 Lalandia Billund This rating is a reflection of how the property compares to the industry standard when it comes to price, facilities and services available. It's based on a self-evaluation by the property. Use this rating to help choose your stay! 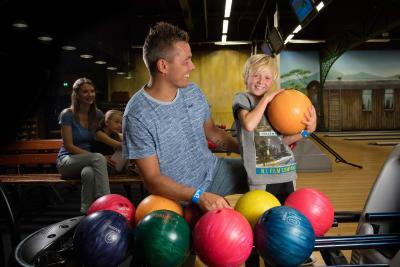 Just 5 minutes’ drive from Legoland Theme Park, this property is one of Denmark’s most popular resorts. It offers a 33 ft² water park and modern cottages with flat-screen TVs and patios. 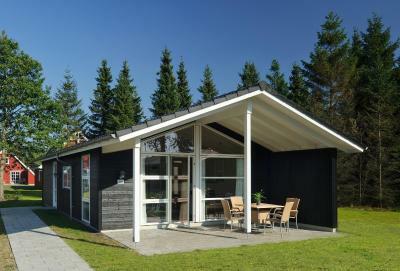 Lalandia Billund Resort’s spacious cottages feature open-plan kitchen/living rooms with a dining area. All have an electric cooker, microwave and dishwasher. A private parking space is found directly outside each cottage. 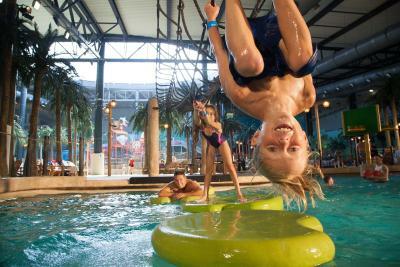 For relaxation, guests can use Lalandia Billund’s indoor and outdoor pools, saunas and hot tubs. More active types can work out in the gym or book an activity in the sports hall. 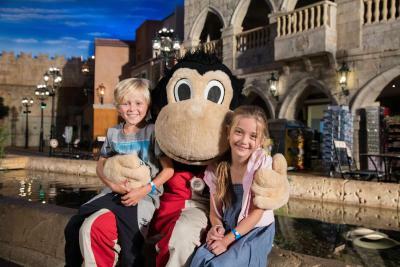 Children will enjoy indoor minigolf, bowling and the Monky Tonky Land play center. Catering for all tastes, numerous restaurants and cafés are located on site. Cottages are set between 1,650 feet and 1.9 mi from Legoland. Billund Airport is a 5-minute drive away. When would you like to stay at Lalandia Billund? Discover our wide selection of restaurants and enjoy everything from Italian lunch dishes to American classics in attractive and authentic surroundings. Lalandia is the setting for an enjoyable holiday for all – whatever the weather. You can also visit our great neighbours during your holiday. 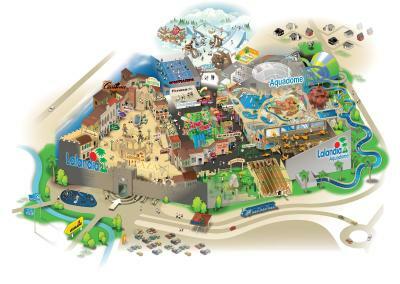 The Lalandia centre is within walking distance of LEGOLAND® and is only 20 minutes’ drive from Givskud Zoo. 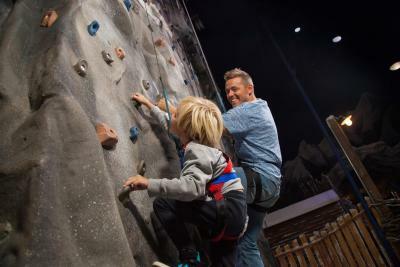 House Rules Lalandia Billund takes special requests – add in the next step! Guests need to bring their own bed linen and towels or rent them at the Lalandia Service Center. If you have any special requests or other queries please contact Lalandia Billund Resort directly. If you book direct with Lalandia you get an access code emailed in advance which is handy. Perfect cabin with everything we needed, staff went out of their way to help us check in early and it served as a great base for visiting Lego house and Legoland! 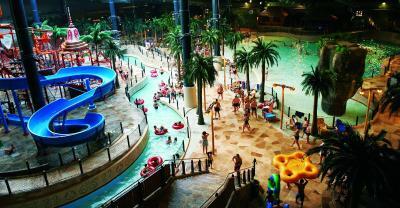 The water park, ice rink and my son loved the football pool. All the children loved the inflatable trampoline by the accommodation. The property was spotlessly clean and staff were extremely helpful and spoke fluent English. Not enough things included in the holiday price. I felt it was all geared up to get as much money as possible from you. Good that everything was inside as it was sunny but very cold when we were there. Lodges were beautifully styled and equipped. Close to legoland. Lovely walks around the park. Croissants were lovely! Pavilion with restaurants etc was very cleverly done. Staff were very helpful. Our lodge was available early on arrival day and we were told there was no rush to check out on departure day. Not experienced that on holidays in similar parks run by other operators. The Aquadome at Lalandia was amazing. The other entertainment facilities at the resort were fantastic. Great for kids. No Iron or hairdryer. Location of accommodation a little far in winter from the complex. Many restaurants in complex closed in January. Very little info given by reception staff at check-in. Expensive. Accommodation was cosy , clean , modern and extremely comfortable. Complex itself had lots of activities. Entertainment in the evenings for children very good. The short drive from the accommodation to the water park is ok, however probably too far to walk for children especially in the rain... for this reason it would be nice that the parking at La Landia water park should be gratis/free for people staying at the accommodation. Cleanliness and size of the unit. 2 good sized bedrooms and generous kitchen, living room and outdoor space was perfect for small family. Where are no iron and hair dryer ir the houses.